Chocolate dipped cheesecake on a stick is a perfection on a stick for those who love cheesecake and chocolate as well as covet convenience of a food on a stick. I love cheesecake and chocolate, and was recently introduced to a cheesecake on a stick. 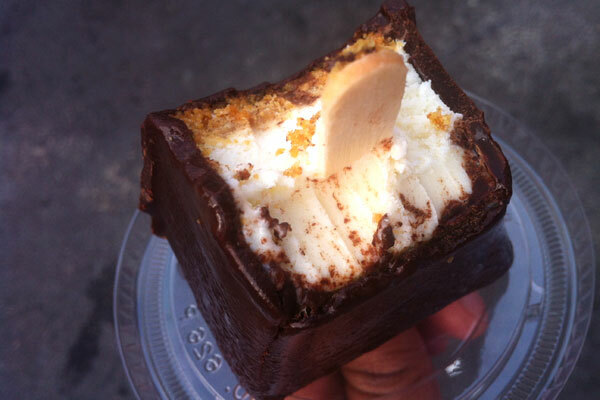 My cheesecake on a stick came from a foodtruck named “That Cheesecake Truck” and was called Big Dippers. 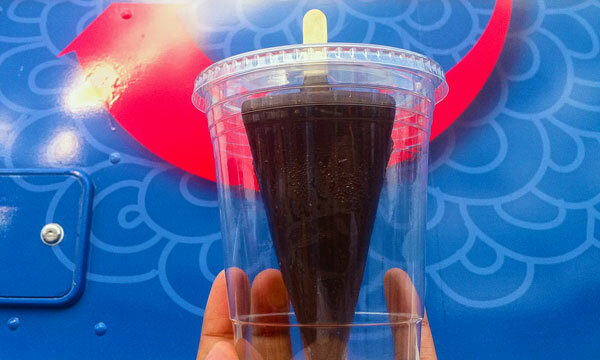 I can see this novelty chocolate dipped cheesecake making regular appearances in carnival food circuit. The biggest thing now is its novelty. In practice, it’s easy to make and people love a carnival foods on stick due their easy portability. Most importantly, people already love cheesecake and chocolate. 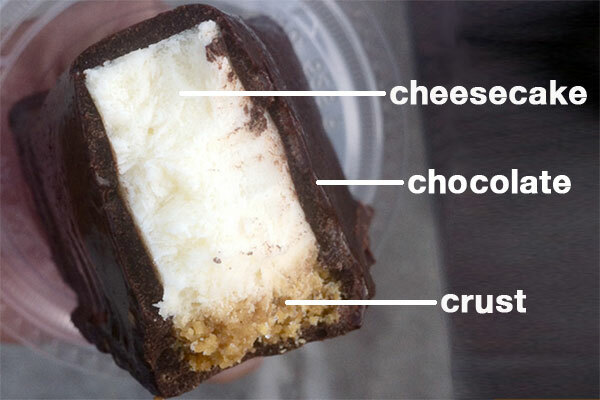 The basic idea is to dip a wedge of frozen cheesecake into chocolate coating. The end result is luscious cheesecake covered with rich chocolate flavors. I have never made cheesecake on a stick but it seems simple enough, if you buy cheesecake and dipping chocolate. Cut cheesecake into wedges, with soaking knife in hot water wash between each cuts. Insert a popsicle stick into each wedge from the side. 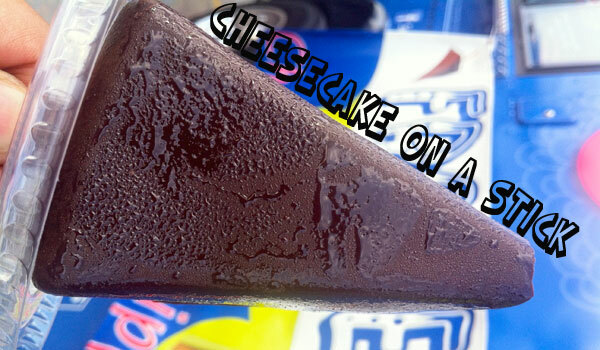 Freeze cheesecake to make popsicle stick to the cheesecake wedges. Dip into chocolate ganache, which is usually three parts chocolate to one part cream. Alternatively, you can dip cheesecake into tempered chocolate, if you are versed in the art of heating and slightly cooling chocolates. Remember to freeze your cheesecake on a stick, before you eat it all. Happy desserting on a stick! What a cool idea! I’ll have to try it. @Spencer. let us know how it turns out.